Fill the brain with high thoughts, highest ideals. Place them day and night before you and out of that will come great work. The College administration believes in transparency and concentrates on running the whole admission process with sincerity every year. Our college played a pioneering role in introducing online admission and is successfully running the system since the year 2012. The Admission Committee includes all the members of the Governing Body, the Principal, Heads of the Departments, the Teachers&apos; Council Secretary, non-teaching staff, and the General Secretary of the Students&apos; Union of the college. The Admission Committee conducts the entire admission process considering the various parameters, framing suitable criteria, following the rules and regulations of the college, the affiliating university (West Bengal State University) and also the various orders of the State Government. Counselling is also a part of our academic programme. We assist the students in selection of subjects at the time of admission on the basis of their merit and inclination. During the course counselling related to the syllabus, attendance, examination process is meticulously done by the teachers to help the students acquire a comprehensive idea about the curriculum. 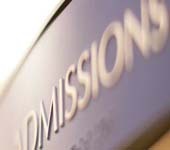 The process of admission is methodical yet smooth. The entire schedule of admission is duly notified on college website and also college notice board which include dates of issuance of application form and submission of the same followed by publication of merit list and the admission. Our online admission process works with the sole aim of automating the academic institute&apos;s admission structure and its related operation and functionality.